"Highlighting individuals is something that I've really come to love," Jason Travis told the crowd at his Creative Mornings talk in 2016. The Los Angeles-based designer and photographer learned his way around a camera by shooting portraits of family and friends – from there, he started his Persona series, which pairs photos of people he's met with the things they carry in their bags. He's taken more than 500 portraits for the series since 2007! At MailChimp, where Travis worked for over 3 years, his projects often celebrated colleagues – from a #MeetMailChimp series on social media to baseball cards highlighting what different employees do at the company. 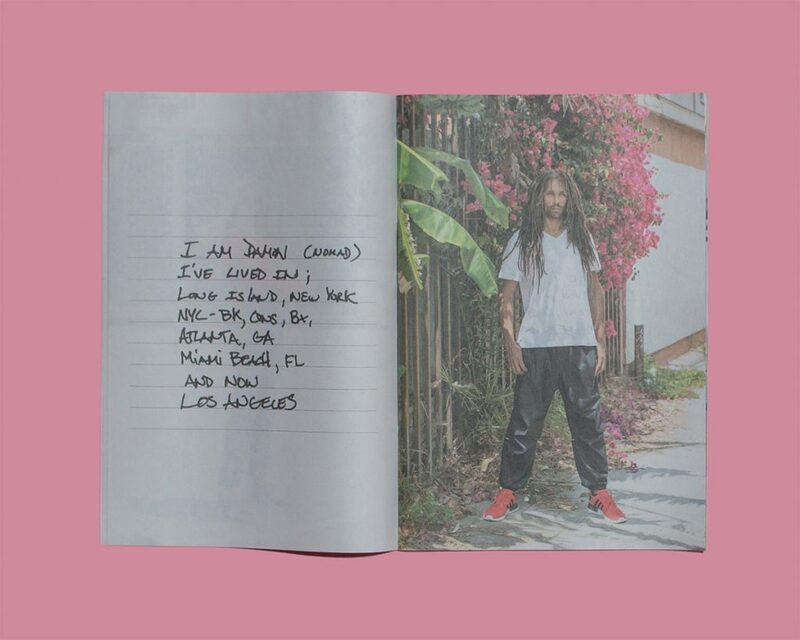 In his new TranspLAnts zine, published as a digital mini, Travis captures people who moved to Los Angeles from somewhere else – like he did, after spending his whole life in Georgia. "I wanted to learn how living in different places has shaped their existence," he says. Below, Travis tells us about the people he documented for the project and how a move to the West Coast has influenced his work. Could you tell us about TranspLAnts? How did you come up with the idea? 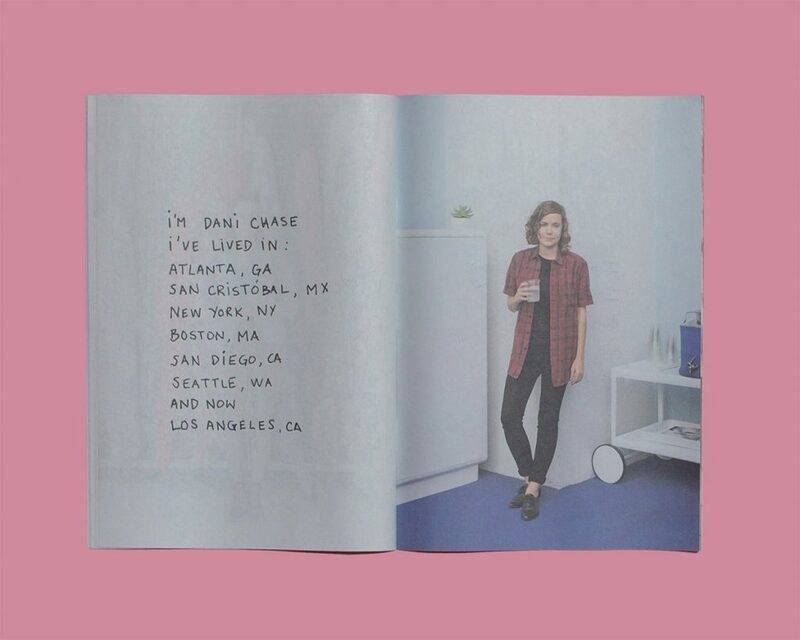 In early 2016, I moved from Atlanta to Los Angeles. It was the first time in my 35 years that I'd lived outside of Georgia. I wanted to create a photo series focusing on people I meet – people who have also moved to Los Angeles to start a new chapter of their lives. I wanted to hear about their journeys and experiences. I wanted to learn how living in different places has shaped their existence. These are all people I’ve met in Los Angeles through various encounters. Some people I’ve met through acquaintances, others through a job, and in a few cases, some of them are my neighbors. Towards the beginning of my time here I was especially curious to learn where other people have lived – a bit of comparison and contrast with my own life. It was always less about justification and more about hearing stories. What was the process like for the portraits? The process is usually determined by proximity. Most shots are taken right on the street, but sometimes at a person’s home or business. Location and light definitely come into play. Originally, I wanted the images to be very simple in structure. A full-body portrait wherever we happen to be – something relatively quick to execute and replicate with the following individual. However, that always lends way to experimentation and wanting more interesting poses. The early ones are more straightforward, but I think as its progressed I’ve started looking for more unique corners of this big city. What was the most surprising thing you learned while making TranspLAnts? I’ve developed a lot of feelings based on my own personal experiences, but talking with people about this subject has definitely given me perspective. Most people have lived in multiple places, while I spent my entire live in Georgia prior to this move. I’ve enjoyed talking to people that moved frequently when they were younger versus making the choice on their own as adults. I’ve seen a lot of growth in myself, which is something I might not have experienced otherwise. Hearing about others that have moved for loved ones or with loved ones is fascinating to me. That’s a huge transition to go through with someone. It takes time to adjust. It takes patience. There's a lot of different scenarios. Everyone's story has resonated with me on a whole, but I do love hearing especially from people who have moved from the east to west coast. I think there’s a deeper sense of understanding there. 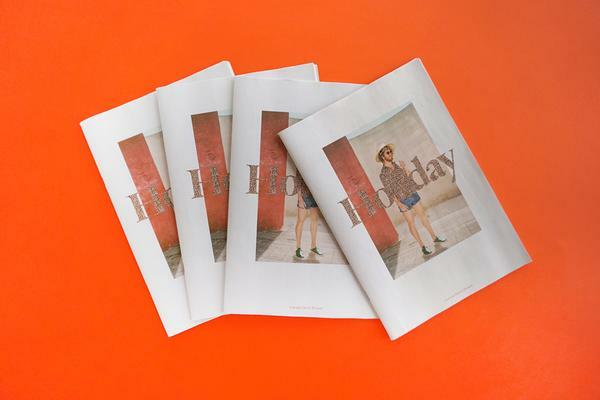 Why a mini newspaper for the zine? I used to work at MailChimp in Atlanta, GA and a few years ago we printed a tabloid zine for recruiting using Newspaper Club. I loved the way it looked and felt and from there I printed a photo collaboration tabloid zine with a buddy called Salute. That was another awesome experience and I knew I wanted to one day print another personal project. The TranspLAnts photo dimensions and spreads I had been playing around with happened to fit perfectly with the mini zine. I love that I can sell them in my online shop, hand them out as promo items, and of course give a copy to each of my subjects. It came together really fast! I wanted a diverse mix of people that I’d met and photographed to be in Volume One. By giving it a volume number I’m able to print more later with different subjects. I love comparing and contrasting everyone’s hand written notes. It gives it a personal feeling - something that connects the person with their geographic history. 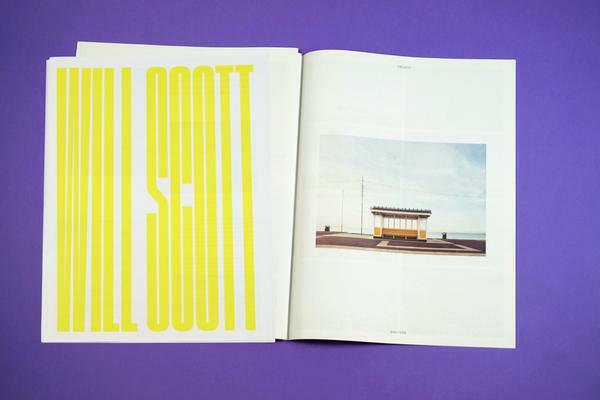 Printing photography in newsprint can be tricky – do you have any tips for getting good results? I edited my photos as I would for any other print or web project. I kept in mind that results vary on newsprint and that’s part of the beauty. Newsprint has less contrast overall but I didn’t overcompensate for that in my edits prior to printing. I used one of the most colorful images of the series on the cover to give it a visual pop. What sort of response have you had to the zine? I’ve had a great response so far. It's always wonderful to see your work in print and not just on a computer screen or phone. It gives it so much more weight. Literally! As a transplant to LA, do you think your new environment has influenced your work? Most definitely. I’ve met so many fascinating people and had experiences I wouldn’t have had otherwise. Besides the new opportunities I’ve had, the actual landscape is influential. The sunlight is bold, attitudes are chipper, lifestyles are eclectic. I’m still me at the core, but I’m more open to new experiences. I’ve also experimented a lot more in my work. I’m more adventurous and less scared these days. Maybe its my age, but perhaps its a product of moving. Where do you go (or what do you do) to find inspiration in LA? I find inspiration all over LA. Its such a massive place. Most of all I take inspiration from the sunshine and the people I meet. I live near the ocean and going for walks always sparks something in my brain. Whereas I used to know every nook and cranny of where I lived for 35 years, living in a new place gives me new opportunities and experiences everywhere I look. Always something new to discover and that’s exciting. 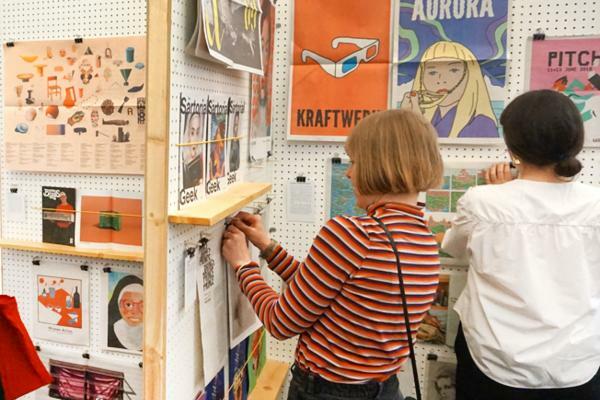 Do you have other projects in the pipeline we should look out for? I just celebrated 10 years of my ongoing Persona series. November marked a decade and more than 500 entries in that series. I’m currently planning something special to coincide with that milestone. Besides that and a number of freelance jobs on the horizon I’m chipping away at a solo album. For years in Atlanta I had a band called Sealions, but this is my first time branching out on my own and developing my own sound. I hope to begin recording later this year. I love reading newspapers at the coffee shop. Menotti’s Coffee Stop in Venice, CA is the place you’ll find me most often. All images courtesy of Jason Travis.